The 2016 Petite Sirah vintage, sourced from one of Dry Creek's premier vineyards, produced fruit rich in flavor with smooth, silky, and soft tannins. This vineyard is head pruned and dry farmed with love by Paul Bernier and his family. Aged in 100% American oak with 35% new barrels, this wine is a blend of 90% Petite Sirah with 10% Zinfandel. To the eye this wine has medium concentration and a deep garnet red color. On the nose, blackberry fruit, hints of vanilla, lightly roasted coffee, and medium toasted American oak. On the palate you will discover bright blackberry and blueberry fruit complimented with perfectly balanced acidity and framed by soft silky tannins. 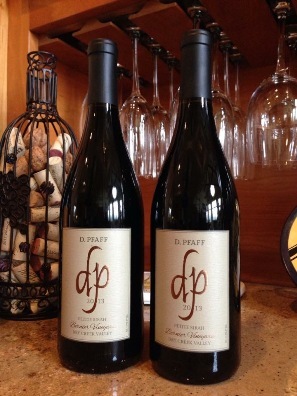 This Petite Sirah ends juicy and mouthwatering with a long and lingering finish.